Geraldton is a coastal city in the Mid West region of Western Australia, located 424km north of Perth.At June 2015 Geraldton had an estimated urban population of 39,825. Get out of town with these interesting Geraldton side-trips: Oakabella Homestead, Tea Rooms and Campground (in Northampton) and Kalbarri (Rainbow Jungle, Shellhouse Grandstand, & more). 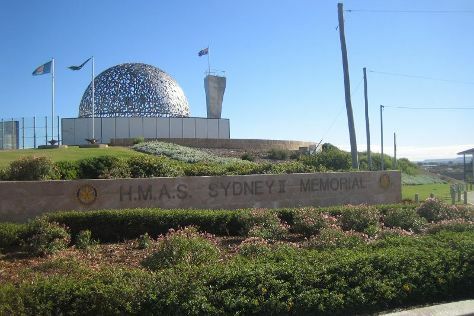 There's still lots to do: learn about all things military at HMAS Sydney II Memorial, get great views at The Loop and Z Bend Gorge, pause for some serene contemplation at St Francis Xavier Cathedral, and explore the striking landscape at Kalbarri National Park Coastal Cliffs. To see reviews, photos, maps, and more tourist information, read our Geraldton holiday tool . In April, plan for daily highs up to 33°C, and evening lows to 18°C. Wrap up your sightseeing on the 29th (Mon) to allow time to travel back home.